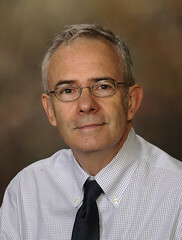 Lockaby, who has worked at Auburn University since 1986, is director of the school’s Center for Forest Sustainability and serves as the Clinton McClure Professor of Forestry. He earned his bachelor’s and master’s degrees in forestry at Clemson University and his doctorate in agronomy at Mississippi State University. His research focuses on wetland biogeochemistry.